Envelopes and inserts included. Minimum order of 5 cards. 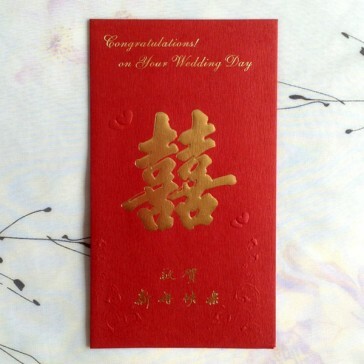 Chinese style congratulation cards for wedding. On the cover of the card are both Chinese and English words that read "congratulatioins on your wedding day", along with the big raised golden Chinese wedding symbol that means "double happiness". 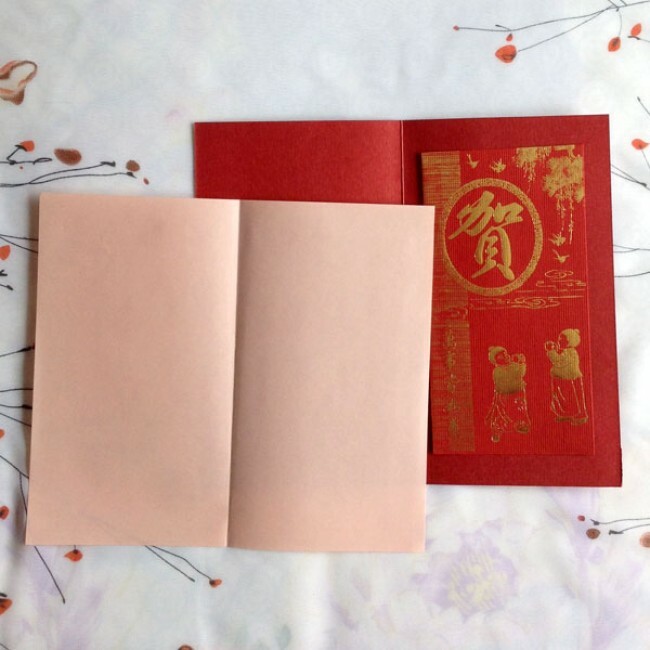 A red packet is included inside each card. Very unique cards to say "congratulations" and "best wishes" to newlywed couples. 4 3/4" X 8 1/2" (12cm X 22cm) folded, inserts and Chinese envelopes included.